Though Hato Potrero Farm, Inc. has grown into a leader in the dairy industry, its founder and CEO Gustavo Perez credits his company’s success to the community that supported it since its inception 10 years ago. Perez, a humble and plainspoken man, acquires much of his workforce and customers from a community of Cuban-Americans in Florida. 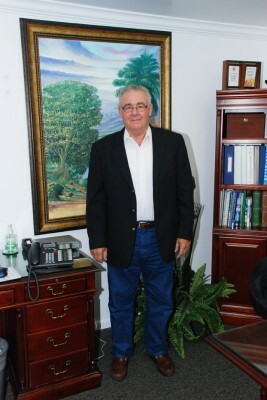 His company’s premier product is a drinkable yogurt, Yogusto, which offers a variety of flavors that include Latin American staples such as mango, guava, banana, and piña colada. Here, Perez recounts how his company evolved from a door-to-door distributor to being wooed by Walmart, thanks partly to its efficiency. Hato Potrero founder and CEO Gustavo Perez delivers Latino flavor daily through his company’s drinkable yogurt, Yogusto. “I am very proud of the efficiency at which this product arrives at stores,” he says. I started out distributing my own products, going door-to-door. My decision to pursue the dairy industry was twofold: My father was a farmer in Cuba, so I grew up being cognizant of farming practices. When I came to this country, I started working as a construction contractor until I had health problems. That is when I considered farming and saw that farming conditions were poor. I wanted to improve that factor and make conditions healthier for customers, especially the Cuban people. I soon realized I needed help with expanding my business. I invited another businessman, Antonio Vargas, to join me and together we created a larger company with a larger customer base. Today, 10 years later, our company, Hato Potrero, is a leader in the dairy industry and our “star” and most profitable line of products is our drinkable yogurt, Yogusto. This product is completely natural, made with Grade A-cow’s milk. I am very proud of the efficiency at which this product arrives at stores. For example, the farmers milk the cows in the morning, deliver the milk to us, and by the afternoon, our yogurt is in the market. Yogusto stands out from all the other yogurt products because of our presentation and simplicity. Our yogurt is drinkable; the production of it is simple, as is the packaging. Also, we add Latin American flavors to our yogurt and there is nothing artificial. The Latin American flavors that make Yogusto unique include mango, guava, pineapple, banana, piña colada, and kumis. Most of our customers like the fact that they enjoy a delicious treat that is natural and nutritional at the same time. Hato Potrero employs approximately 25 to 30 people and I treat them well. I have a small plant in a small town (Clewiston, Florida) so I have employees who have been with me from the beginning. We provide training for new employees, and I offer flexibility in terms of work hours. Marlen Perez, the administrative assistant at Hato Potrero, tells people that I am a very generous person. I am very good to my employees. The key to any good business relationship is to be able to work well with people. Also, you must be willing to work hard, and possess a keen sense of business knowledge. Dealing with state regulations and supermarket percentage profits was difficult initially, but now, the bigger markets, like Walmart, solicit me. Since we are a Grade A-plant, we are strictly regulated by the USDA. I started off slowly because of these challenges, but was able to gain their confidence with dedication and hard work. That is how I was able to—little by little—acquire my Interstate Milk Shippers (IMS) certification, and was finally able to distribute nationally. I value community, so I am happy that my yogurt was approved by the Dade County School District. We distribute our Yogusto product in elementary, middle, and high schools, as well as community colleges and at the University of Florida-Miami. Going to work every day means interacting with the community. I tell young entrepreneurs that to be successful you must discipline yourself to work hard every day, and stay focused. In this economy, it is important to have your eyes set constantly on your goal. I’d say the best thing to do is to learn everything there is to know about the market you wish to pursue. It is vital to explore your field of interest before becoming an entrepreneur.